Can they eclipse the competition? Chinese orgs ‘Born of Fire’ and ‘All Gamers’ have joined forces to create new team ‘Eclipse’, CSGO2ASIA has learned. Born of Fire’s team will take the main team spot under the new organisation, whilst All Gamer’s will become Eclipse.o, serving as the academy team. The move comes after a string of promising results for the Born of Fire team, who have been fairing well this year in terms of online matches. Featuring old-school players such as Likan “KingZ” Luo, who has had a colourful career in Counter-Strike already, playing for teams such as TYLOO and wNv in 1.6, the team will be looking to do some damage and dethrone TYLOO as the kings of Chinese Counter-Strike. KingZ will now play under the Eclipse banner. Photo courtesy of 5EPlay. Further to this, Vietnamese player An “Zac” Nguyễn Ngọc Thiên will be staying with the team, keeping in line with the recent tradition of Chinese teams utilising the South-East Asian talent pool. 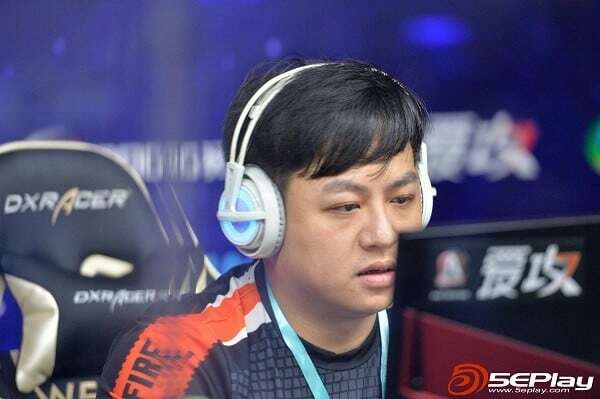 Additionally, both teams will be coached by none other than veteran Zhengwei “alex” Bian, who impressively made a name for himself across both 1.6 and Source (as he was also involved with both wNv and TYLOO). Zhengwei also had a brief stint in the CGS franchise team ‘Wuhan Dragon’. Be sure to look out for both of Eclipse’s teams in the Chinese qualifier for the Asia minor, which takes place from May 12–14.